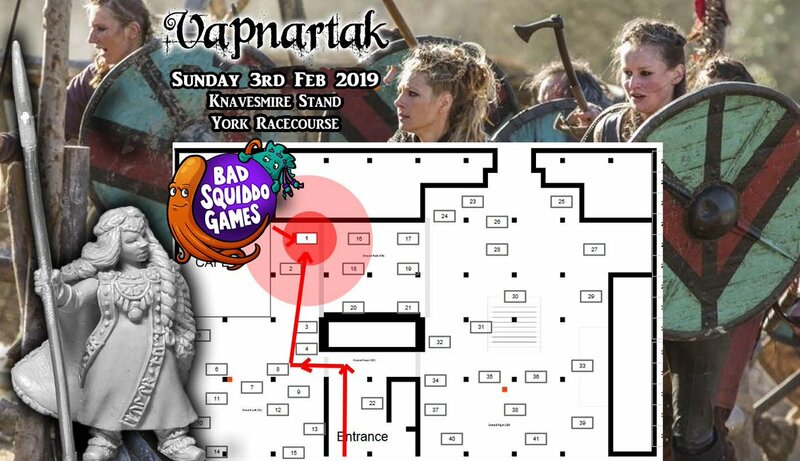 As usual, Bad Squiddo will be at Vapnartak, in the usual place guarding the ladies loo downstairs between Dave Lanchester and Early War Miniatures, near the cafe. We always have a fairly small stand so pre ordering is highly recommended to avoid disappointment. You can do this via the website and choosing "collect at the show" for shipping. Or just pop an email over. While we carry the largest selection of female miniatures in the world, we can't take them all to the show, so we will only be carrying the Bad Squiddo range. 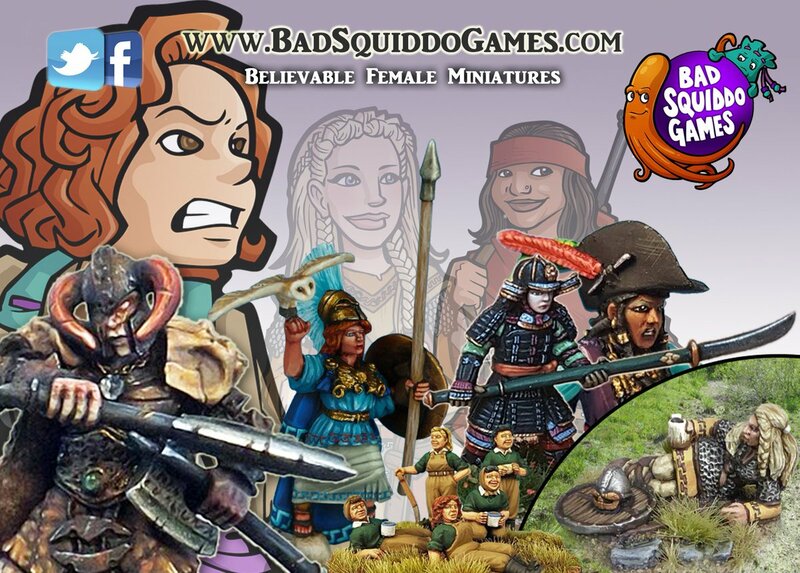 Bad Squiddo Games is a manufacturer and stockist of "Believable Female Minis", basically 28mm metal and resin ladies that might survive more than 2 seconds of a battle. Our largest lines are the DARK AGE SHIELDMAIDENS and WOMEN OF WORLD WAR 2. And don't forget our GUINEA PIGS STRAPPED TO ROCKETS. As well as regular grass munchers. And if you're nice I'll show you some nice secret casts of the new stuff….. I can't wait for Caterina Sforza!